If Americans totally "got" the 401(k), there wouldn't be a need for financial companies who specialize in fixing them for people. Did you know that as of June 30, 2017, 401(k) plans in the U.S. held an estimated $5.1 trillion in assets. That's a big number! It happens to represent 19% of the 26.6 trillion in U.S. retirement assets. Here's another number for ya, in 2015, approximately 54 million American workers were active 401(k) participants. I suspect the numbers will continue to grow and with that even more people will be really clueless about their retirement vehicle. See Investment Company Institute, “The US Retirement Market, Second Quarter 2017” (June 2017). Young people who have gotten their first big break in life and have procured employment with a 401(k) offering company are at risk for mishandling the first few years of their retirement savings. They get busy learning the ropes at work and hardly pay attention to what's going on at the back end of their monthly salary disbursement. They make the excuse of needing to wait until things "get settled" at work to finally give their 401(k) the attention it deserves. Mistake number one. So this post is all about how to squeeze the most juice out of your 401(k). Let's get it started! 1. Traditional or Roth 401(k)? If your employer gives you the option of either one, choose the Roth version if you're young (Millennial and Gen Z). This is because you'll probably be at a lower tax bracket and paying your taxes upfront won't hurt as much. Workers at higher tax brackets should select the traditional 401(k) option, making pre-tax contributions and defer paying income tax on your savings until retirement when your tax bracket may be lower. 2. Take full advantage of the 401(k) match program, if any. According to a 2017 survey by 401(k) provider Betterment for Business, 23% of Americans aren't taking full advantage to pad their retirement savings via the company match. A company that matches will contribute up to a certain amount of whatever you decide to put in to your 401(k) each month, effectively doubling your monthly retirement savings. So if you elect not to contribute to your 401(k), or contribute very little, because perhaps you want to apply as much money as you can to your student loans or credit card debt, you are leaving money on the table. Just stupid. Never pass up the full company match! 3. Don't touch your 401(k) until retirement! While it's okay to rollover your 401(k) if you happen to switch jobs or want it held by a different custodian, it's absolutely not okay to take out any portion of it for most reasons. What's a good reason? An emergency you can't cover and must or face a dire consequence like becoming homeless. You should've had an emergency fund! When you take out any portion or all of your 401(k) for any reason, you'll incur a 10% early withdrawal penalty. You'll also break the cycle of allowing your retirement money to grow over time via compounding. Just leave it alone! You are paying 12b-1 fees and you probably don't even know it. These come with ownership of mutual funds in your 401(k) portfolio. So do front-end or back-end loads (more fees) on the funds you pick for your account. Basically you either didn't take the time to read the prospectus or summary of the mutual funds you were allowed to select from by your employer and their custodian partner (Fidelity e.g.) OR you didn't care, not realizing how much fees eat into your savings over time. You won't be able to go without paying some fees, bu at minimum you should understand how much they are and above all else, investigate all the options you have in your 401(k) plan so you can minimize fees! 5) Check for allocation overlap. One of the easiest mistakes to make by 401(k) participants is an allocation overlap. That's because everyone is freakin' nuts about diversifying. Not knowing anything about equities, people mistakenly pick funds containing stocks in similar industries or sectors. Or they'll be heavily weighted toward value stocks versus growth, and vice versa. 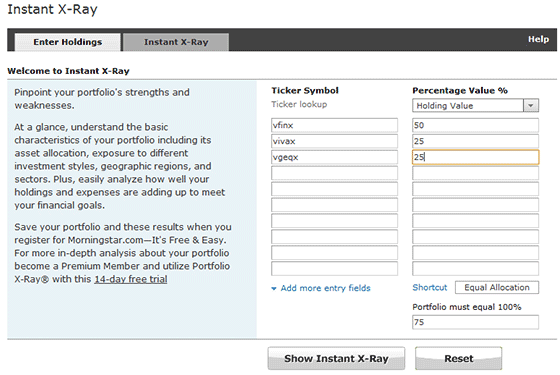 There's a great tool at Morningstar.com called Instant X-ray that you can use to expose your overlapping funds. Once you spot the problem, fix it! 6. Default contribution level saving. Your employer is going to set you up with a default savings rate of 2-3% if you do nothing. That's nowhere near enough. Vanguard Center for Retirement Research recommends you save between 9-12% if you make $50K or less. Remember that this is a combined savings rate between you and your employer. Think, 4.5% (YOU) + 4.5% (Employer) = 9% (Total) so you don't feel like your money is all going to retirement leaving you with very little for expenses. If you make between $50K and $100K, Vanguard recommends you step up to a savings rate between 12 and 15%. 7. Take the free advice! Your employer is required to offer you an opportunity to get free yearly financial advice. You don't have to follow the advice given to you obviously, but you should at least meet with the financial representative paid to be there for you. Schedule your appointment! Just because you can select "safe" investments like money market funds, certificates of deposit, or other guaranteed saving options (fixed rate annuities, e.g. ), doesn't mean you should. These choices traditionally don't keep up with inflation so in the grand scheme of things, you're actually losing money. To determine what percentage of your holdings should be in stocks, you can take your age and subtract it from 110. For example, I'm 41, so I should be holding 69% in stocks and the rest 31% in fixed income securities such as bonds, money market funds, etc. Setting and forgetting your 401(k) is not a strategy for maximizing your investment returns. When you have a good year, the risk-on portion of your portfolio, i.e., your mutual fund holdings, may have grown exponentially. This has caused your portfolio to be weighted more to the risk end. Rebalancing then would include selling shares of your mutual funds (and buying more bonds, e.g.) until you're back on your target allocation. In the example below, you can see that the target allocation for each asset class is 25%. However, after a great run (20% return), Asset Class 1 is now weighted at 28.57%, above the 25% target. $300,000/1,050,000 = .2857 X 100 = 28.57. That extra 3.57% must be shaved off by selling or trading about $37,500 worth of Asset Class 1. In case you don't get where that amount came from, it's .0357 x 1,050,000 = $37,485. Okay so you figure that since you left your job you can simply leave the 401(k) you had with your former employer's custodian and move on. It'll be there when you need it, right? Wrong! Yes, you are entitled to collect from any retirement fund or account you may have lying around when you retire, but you'll have seriously hurt any chance you had at earning the best possible returns from them. Investment choices come and go and if one of yours should be removed by your employer, it'll be switched for you most likely to a low-interest earning cash account. Plus, abandoning your 401(k) means you won't have any vigilance on things like rising fees or changes in allocations. Take your 401(k) with you! 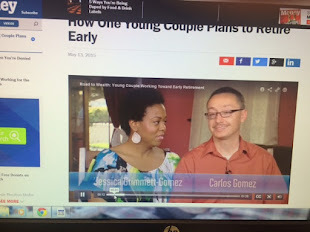 Alright, I've given you 10 tips on getting the most out of your 401(k). Main point here is that if you don't mind your money, no one else will mind taking it from you. The mutual fund industry is happy to get your money (fees), the stock market doesn't care that you were over-allocated equities and weren't there to rebalance, and inflation is out to get anyone who isn't ahead of it. So get with it, man! Thanks for reading. If you liked this post and want to get more like them in your inbox, plus access to three free money matters eBooks, please subscribe below before leaving.